Are you vying for a spot at one of America’s most elite business schools? Well then you need to understand what Stanford GSB’s admissions criteria of “Intellectual Vitality” is and how you can demonstrate it to the admissions committee. View this short video for more information. You’re applying to Stanford and you’re worried about that enigmatic “Intellectual Vitality” part of the Stanford admissions criteria. You’d love to go to Stanford! Let’s explore what intellectual vitality is and how to show it in your application. Applying to Stanford is tough. It is one of the most prestigious universities in the world, and its MBA program has the lowest acceptance rate and highest average GMAT and GPA of any U.S. MBA program. I got accepted from Stanford last night. Even as I wonder which one I want more between Stanford and Wharton, this is a dream come true. I am not a great writer, and so I’ll keep this short for the fear of ruining it. Thank you. I don’t have any new words to express the gratitude that is filling in my heart. I hope all your other candidates find wings to their dreams. Before diving into demonstrating this quality, let’s first ask: What is “intellectual vitality”? It’s more than test scores and high grades, although they are certainly elements that Stanford values. It means curiosity and a zest for ideas. But the ideas aren’t just ideas that sit lifeless in your head or merely topics for debate, no matter how lively. They motivate and compel you to act. So the ideas lead to dynamism and yes, vitality. OK. So how can you demonstrate it? 1. Write down for yourself several examples of your curiosity – of it leading to discovery and propelling you to act. 2. Select one or two to write about in your essays. 3. If possible, highlight the other examples in other parts of the application, like your CV. 4. Ask your recommenders to write about this quality and perhaps remind them of incidents from their experience with you that reflect intellectual vitality. 5. Review your notes before you interview so that you can have all the examples fresh in your mind during your interview. 3. Show your Intellectual vitality as well as the other qualities necessary for acceptance to Stanford in your application. 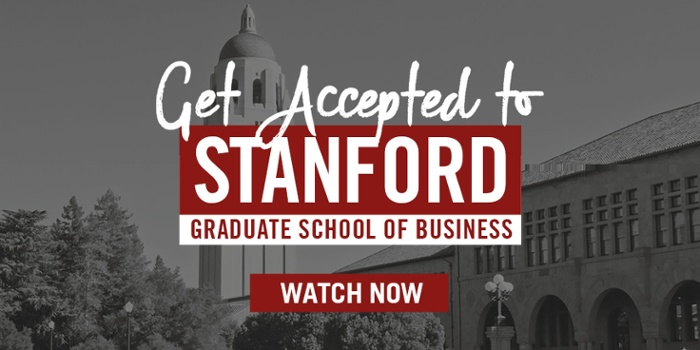 Follow these steps to go from confusion to clarity, stress and anxiety to confidence, that you are presenting the best of your intellectual vitality in your Stanford application. For one-on-one guidance for your business school application, check out Accepted’s MBA Admissions Services – get matched with your personal advisor, sharpen your competitive edge, and get ACCEPTED to your top choice b-school! Last updated on August 2, 2018.